Last week, Bloomberg Philanthropies announced a $70-million Challenge aimed at helping cities across America grow their economies and protect human health by taking action to fight climate change. Mike Bloomberg will be emailing the mayors of the 100 largest U.S. cities about it — so keep an eye on your inbox, or tell your mayor to! Here’s what it’s all about: When it comes to climate change, cities are both the problem and the solution. Globally, they’re the source of 70 percent of the emissions that are leading to climate change. But they’re also where creative solutions, combined with bold leadership from mayors, can make a real difference. 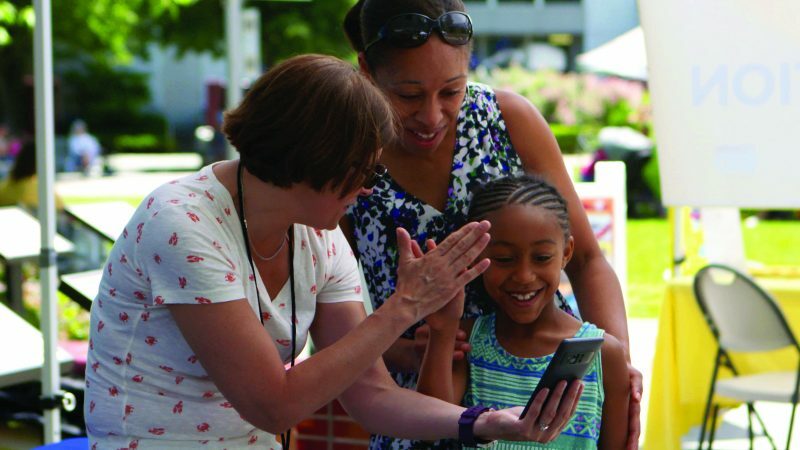 Mike Bloomberg announced an additional $42 million investment in the What Works Cities program to enhance cities’ use of data and evidence to improve resident outcomes and address the most pressing local issues. The investment, part of Bloomberg’s American Cities Initiative, is one response to what the former New York City mayor says is a mounting disdain for facts, which is making it difficult to tackle some of the country’s toughest challenges. 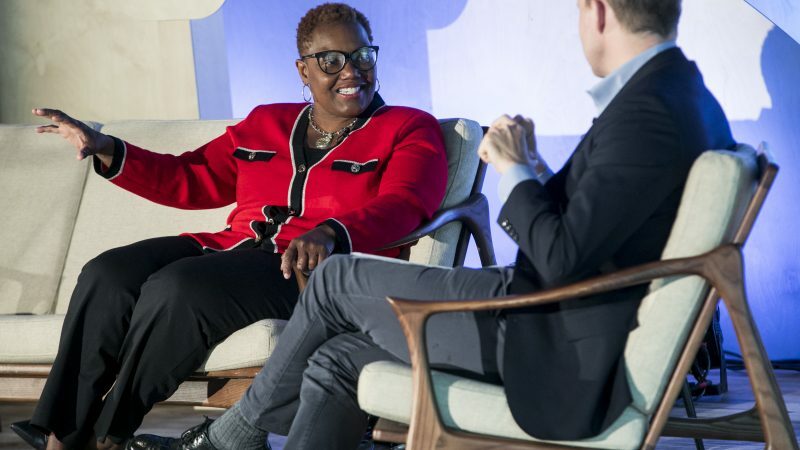 Last week, Bloomberg Philanthropies brought 54 communications leaders from city halls in the U.S. and the U.K. to New York City to discuss these topics and more. In panel conversations, workshops, and one-on-ones, they traded tips on social media and storytelling, considered the changing media industry, and learned the latest and best practices for organizing a comms shop. Here are four strategies that emerged last week that are likely to reflect where the field of city-government communications is headed. Communications directors from 54 cities met last week in New York to discuss how to stay ahead of the changing media landscape. 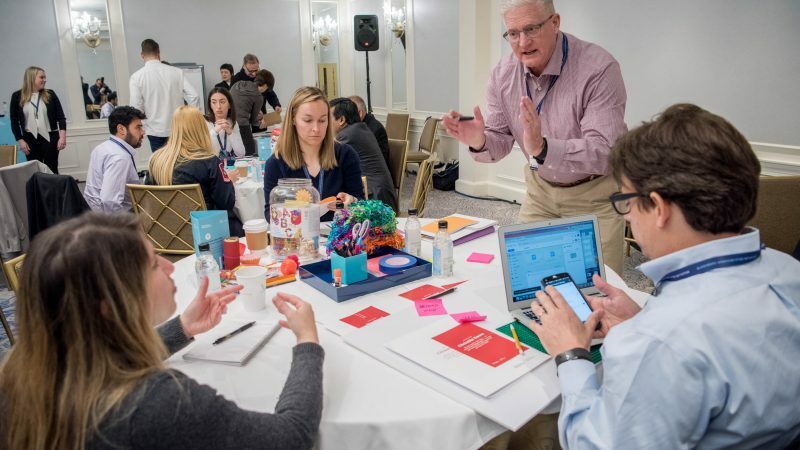 This week, teams from 35 city halls across the United States are getting a crash course in how to take a good idea and test, learn, and adapt to make it better. 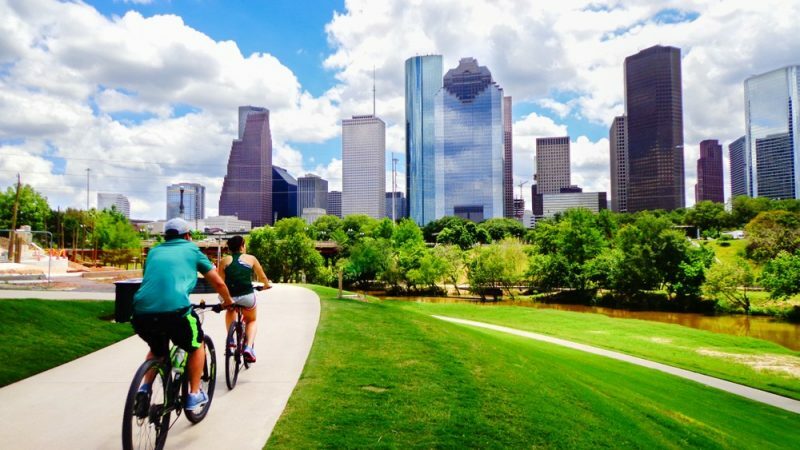 They’re the Champion Cities — finalists in the 2018 Mayors Challenge to find bold ideas for solving cities’ toughest problems, including everything from climate change and homelessness, to public health and infrastructure. 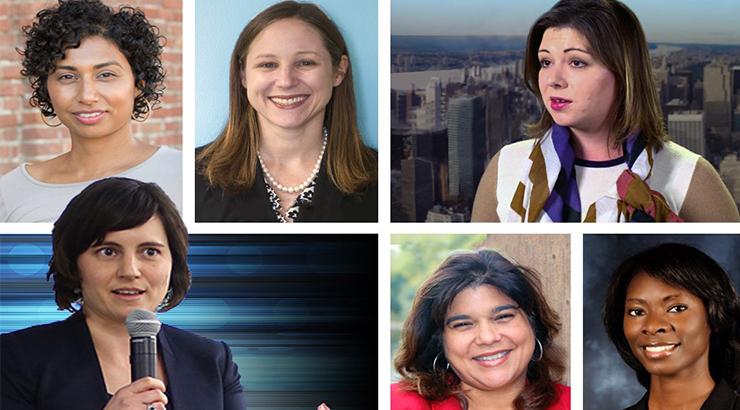 We awarded each of them up to $100,000 to develop their ideas over a six-month testing phase. One city will win a grand prize of $5 million in October, while four others will win $1 million. Mayors often come into office with bold ideas for tackling the toughest issues – whether it’s gun violence, school readiness, homelessness, or workforce development. And if they don’t know it before they get to city hall, one of the first things they learn upon arrival is that they can’t go it alone. 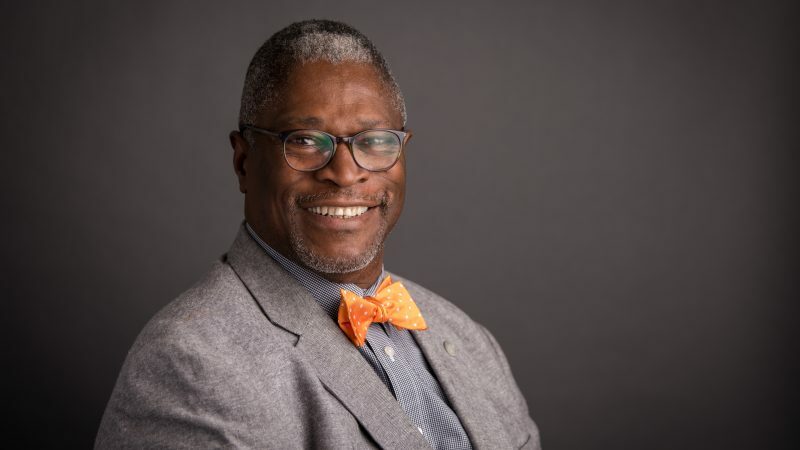 The truth is that the most successful and sustainable solutions demand the buy-in, brainpower, and resources of stakeholders across a city, including universities, nonprofits, businesses, foundations, and neighborhood groups. Collaboration across these sectors was key to all that Mike Bloomberg accomplished in his 12 years as mayor of New York City. 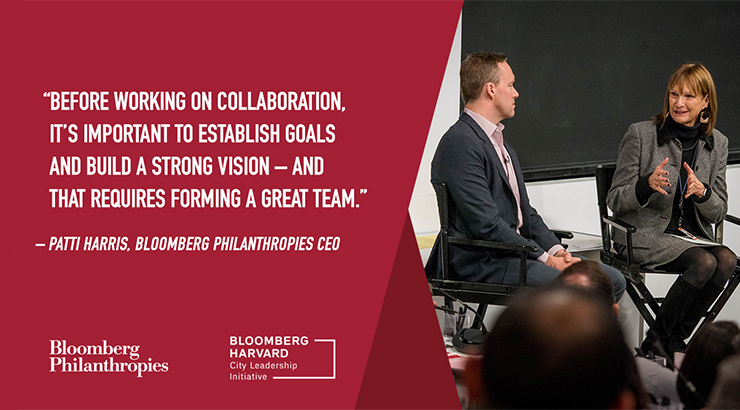 It has also been key to our work at Bloomberg Philanthropies, where we’ve sought partnerships with other foundations and helped city leaders in hundreds of cities tackle major challenges – often by tapping wisdom, creativity, and resources from citizens, community groups, and businesses. 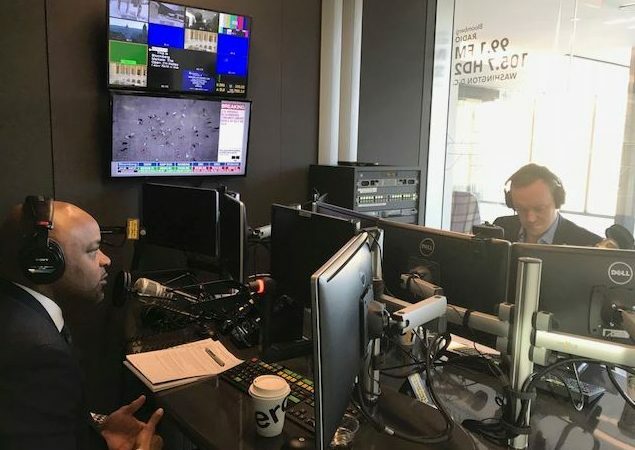 The 16th episode of Follow the Data presents a conversation with Denver Mayor Michael Hancock and James Anderson, who leads Government Innovation at Bloomberg Philanthropies. Mayor Hancock is a native Denverite, serving his second term. 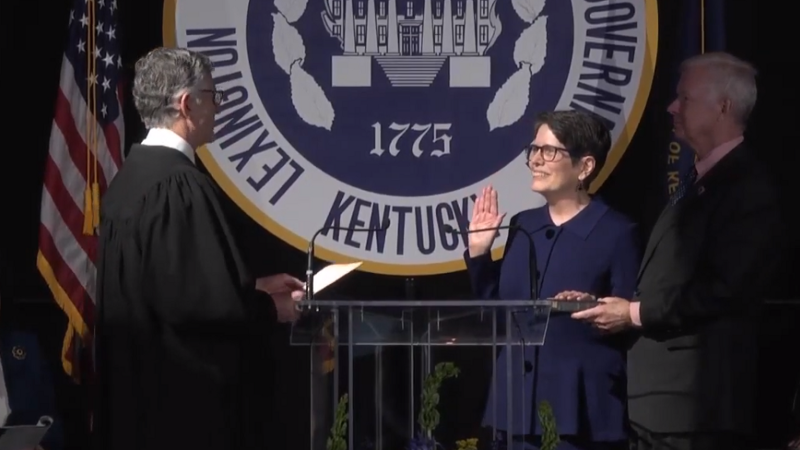 He is known as a “mayor’s mayor,” surrounding himself with a talented team, and concentrating on efforts to make government more effective, to better serve its citizens. 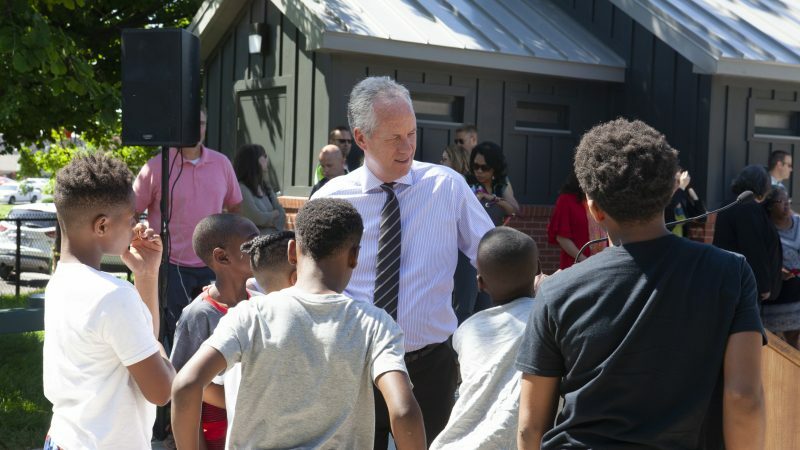 At Bloomberg Philanthropies, we’ve been fortunate to work with Mayor Hancock and the City of Denver in a variety of ways. Denver was an early member of What Works Cities, our initiative committed to helping cities better manage data to improve people’s lives. 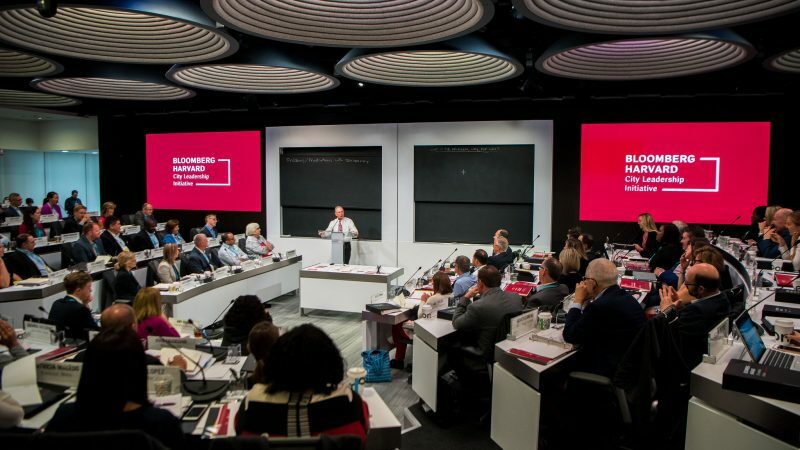 Mayor Hancock is one of the first 40 mayors to participate in our collaboration with Harvard University to give mayors high-quality executive coaching and training that rivals what is available to their CEO peers in the business world. 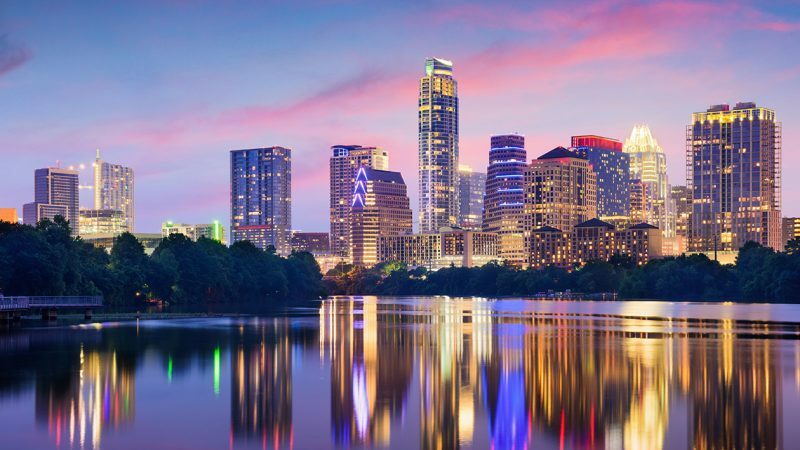 Thirty-five U.S. cities, from as large as Los Angeles, Calif., and as small as Ithaca, N.Y., are about to launch into an unprecedented experiment to solve some of our country’s biggest challenges. Each of these finalists—or “Champion Cities”—in the 2018 Mayors Challenge will spend the next six months testing and refining their big ideas for tackling everything from opioid addiction to climate change. And while only five cities will win prizes later this year—including one $5 million prize and four $1 million prizes—all will walk away winners, and that much closer to solving some of our cities’ toughest concerns. Just about every successful business prototypes new solutions before bringing them to market. Amazon, Apple, Walmart, CVS Health, Ford, and Tesla—to name just a few—have successfully launched new products or entered new markets by tapping this tried-and-true product development technique. Yet it’s a concept that is virtually unknown within the public sector, where the stakes for innovation are highest. Just ask any police chief. Actual lives depend on cities’ ability to constantly innovate new and better approaches. The Tel Aviv Innovation Team used prototyping to test different school-lunch programs. One of the biggest misconceptions about the field of data science is that it’s all about the numbers. But, as anybody in our business will attest, statistics and spreadsheets don’t mean a whole lot if you don’t also understand the people, the problems, and the promise they represent. Our work has never been “all about the numbers.” It is, however, increasingly about the number — and the diversity — of life experiences our teams bring to the table that deliver big and important impact in cities. Currently, women represent only 25 percent of the data scientists in the public and private sectors. 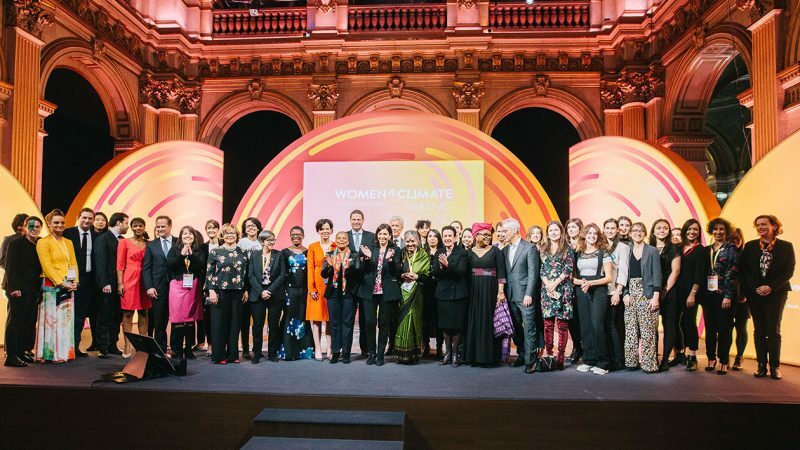 But as two women who lead What Works Cities — Michael Bloomberg’s investment to help 100 U.S. cities expand upon the data and evidence work he pioneered in New York City Hall — we can tell you that there is a growing number of women at the table. 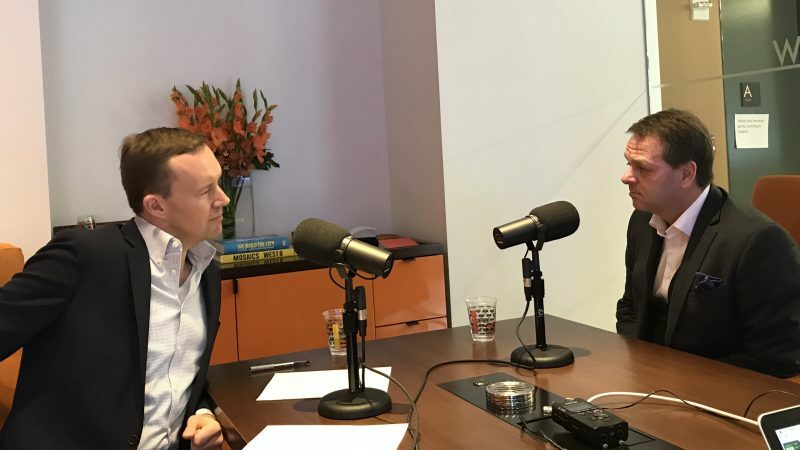 The 15th episode of Follow the Data presents a conversation with Helsinki Mayor Jan Vapaavuori and James Anderson, who leads Government Innovation at Bloomberg Philanthropies. Mayor Vapaavuori is a former member of the Helsinki City Council and served in Finland’s Parliament for more than a decade. When I became Mayor of Kansas City in 2011, residents were eager to see local government become more efficient, accountable, and responsive to their needs. They didn’t want rhetoric. They wanted facts. And they deserved to see progress. That’s why we started KCStat that December. It’s a data-driven strategy for improving city services. 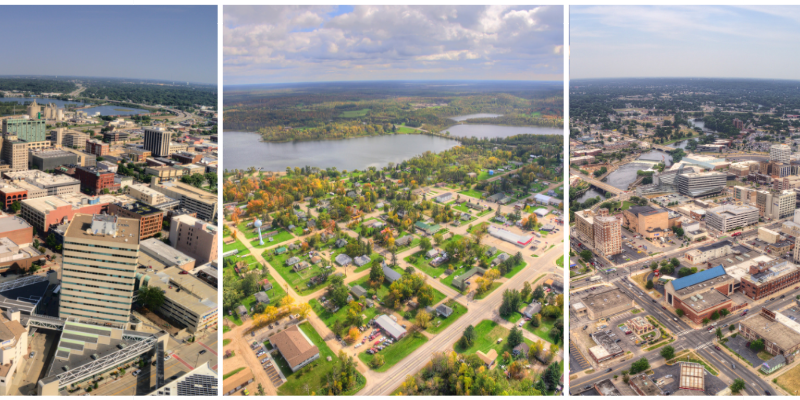 Each month, City Manager Troy Schulte and I hold a meeting during which staff in charge of different services—from public safety to economic development to transportation— present metrics on what’s going well and what’s not going so well. We ask tough questions, demand good answers, and expect to see progress by the next meeting. 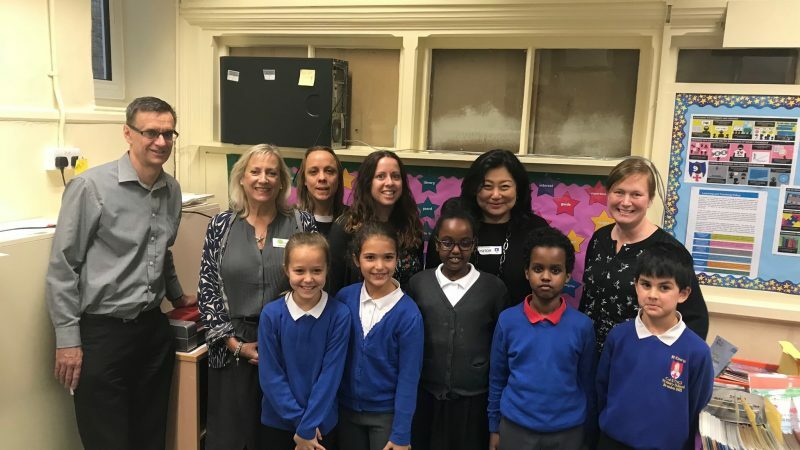 If there’s one thing my work with city leaders around the world has taught me, it’s that the challenges cities face are as diverse as the cities themselves. There’s no question that cities are confronted with mounting pressures, including everything from income inequality and homelessness to failing infrastructure and climate change. What was less clear was – if presented with the shot at $5 million to help them tackle their top concern – what America’s mayors would target. 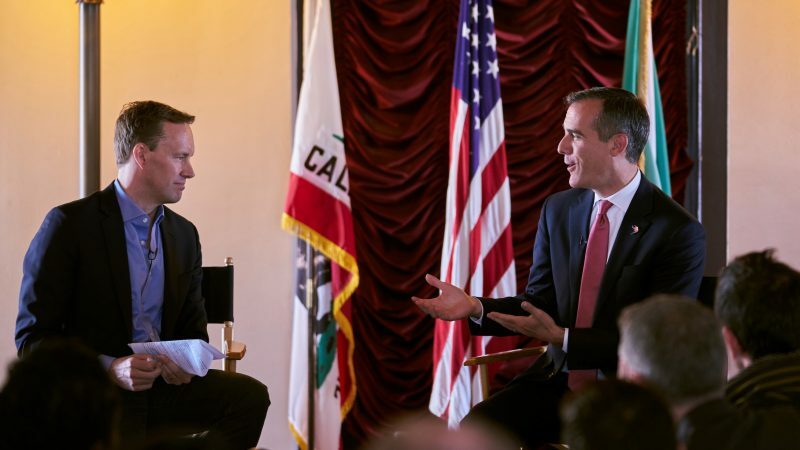 The 13th episode of Follow the Data presents a conversation with Los Angeles Mayor Eric Garcetti about how to cultivate and retain innovation in city hall. 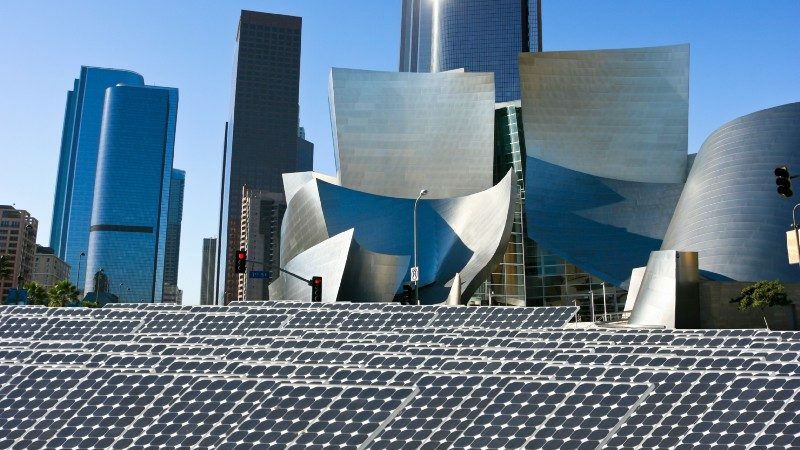 LA is unique in that the city appointed a Deputy Mayor for Budget and Innovation, and the city continues to illustrate impressive capacity to take risks and experiment for the sake of innovation. 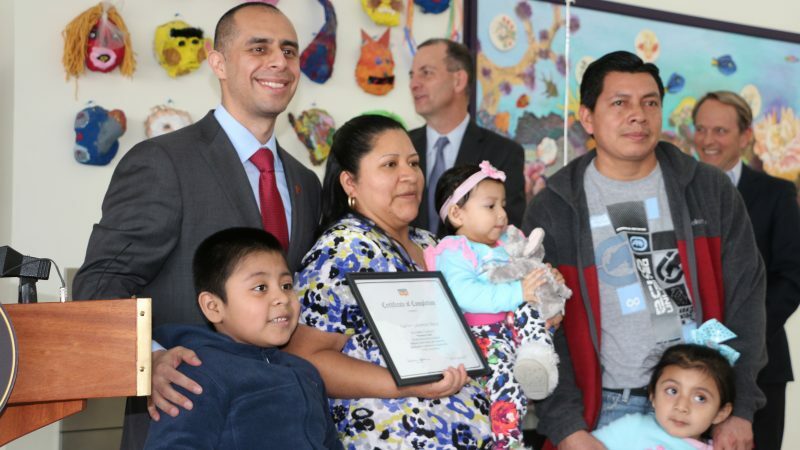 Local leaders know that individual and family financial security isn’t just a personal issue – it affects all of us. Many of us in New York City learned that the hard way in 2008, when the city lost over 100,000 jobs and unemployment went up by 133%. Residents and families were suffering, and this was reflected in neighborhoods across the city. 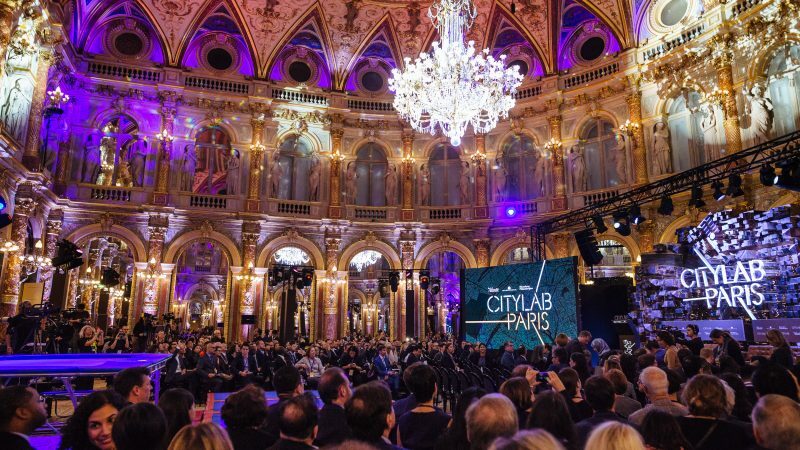 This week city leaders and urban innovators from around the world convened in Paris for CityLab 2017, hosted by the Aspen Institute, The Atlantic, and Bloomberg Philanthropies. 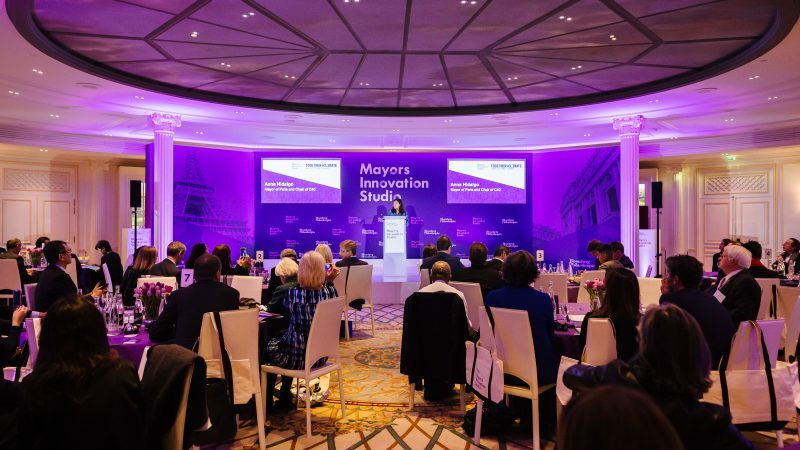 On Sunday, October 22, nearly 40 mayors gathered to address an issue that is top of mind for city leaders: new, disruptive technologies—from driverless cars to drones—and how cities can harness this tech to improve life in cities. 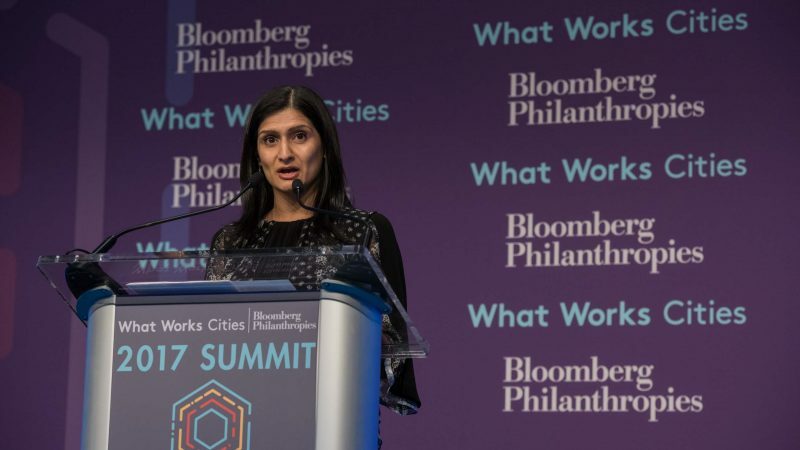 At Bloomberg Philanthropies, we work with thousands of city leaders in hundreds of cities around the world—and yet there is one topic that comes up time and time again: Disruptive technology. That’s because mayors understand that new technologies are shaping our future. They also know that if they want a stake in the game, they first have to get in the game. 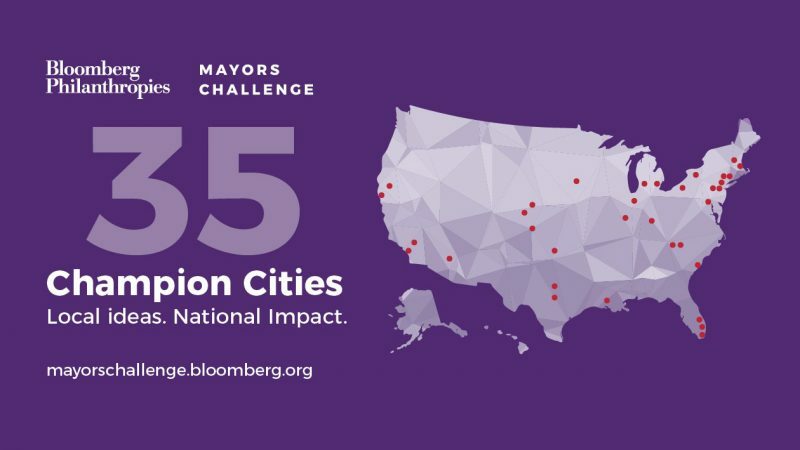 The Mayors Challenge has been an integral part of Bloomberg Philanthropies’ strategy to help city leaders generate innovative solutions since 2013. But we’ve never attempted a competition on the scale of what we’re doing right now. After successful runs in the U.S. (2013), Europe (2014), and Latin America and the Caribbean (2016), we brought the Mayors Challenge back to the United States this year as the first investment in Michael Bloomberg’s $200-million American Cities Initiative, a recently announced suite of new and expanded offerings that will strengthen U.S. cities through bold leadership. Carl Filler, Senior Policy Advisor to St. Louis Mayor Lyda Krewson discusses potential challenges during his city’s Idea Accelerator workshop. Also pictured: Chief Resilience Officer Patrick Brown; Department of Public Safety Director Charlene Deeken; and Manager of Internet Services Sonja Pelli. The eleventh episode of Follow the Data features the winner of the 2013 Mayors Challenge: Providence, Rhode Island. 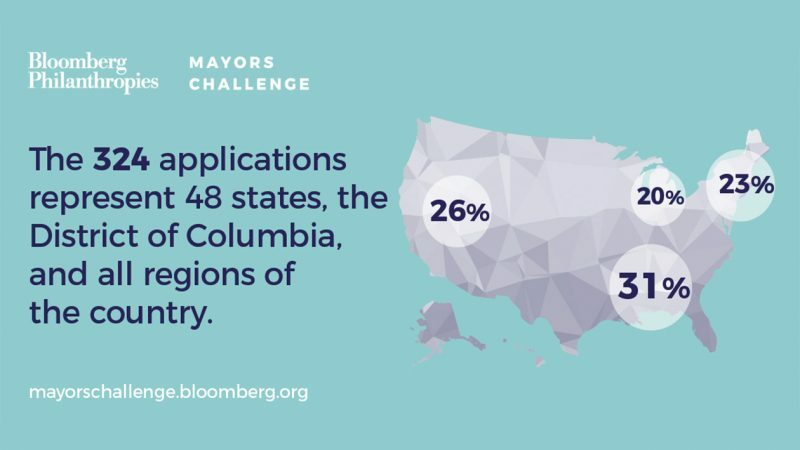 A component of Mike Bloomberg’s recently announced American Cities Initiative, and now in its fourth round, the Mayors Challenge empowers city leaders to think big, be bold, and uncover inventive ideas that have the power to spread. 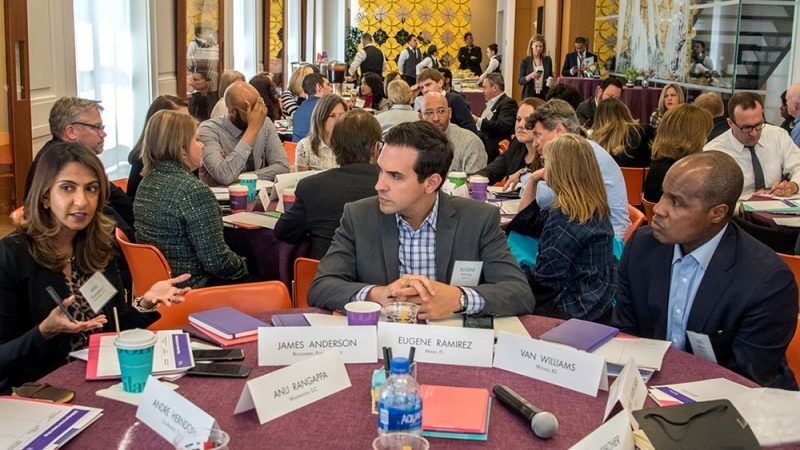 Last month, 40 mayors from around the world came together for a first-of-its-kind leadership program, the Bloomberg Harvard City Leadership Initiative. 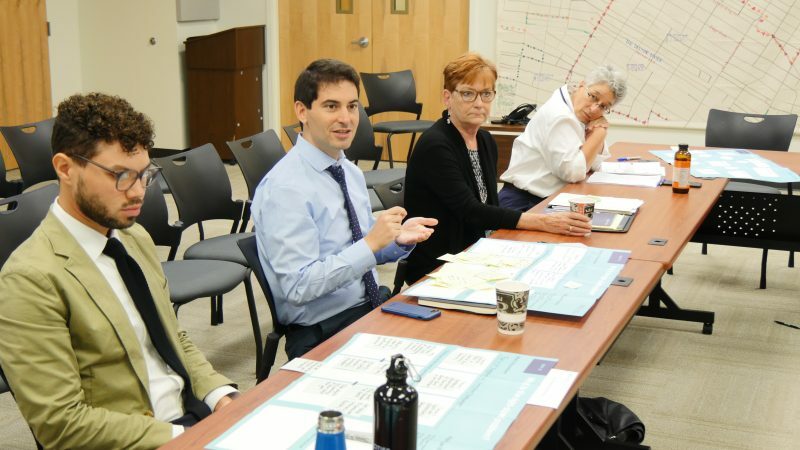 A collaboration among Bloomberg Philanthropies, Harvard Business School, and the Harvard Kennedy School, the initiative is designed to connect mayors and senior city leaders with the latest information, best practices, and networks as they seek to make life better for residents. Mike Bloomberg talks about the importance and value of mayors building a strong team in order to successfully lead at the Bloomberg Harvard Cities Leadership program. If there’s one good thing to come out of the Greek financial crisis, it’s that the turmoil provoked many people throughout the country to pitch in—both to put Greece back on track and to provide each other critical services when the government was cutting back. Documentary filmmaker Amalia Zepou was one of those citizen volunteers, helping clean vacant lots in her Athens neighborhood, teaching neighbors how to recycle, and tending to a community garden. The experience opened Zepou’s eyes to the vastness of this volunteer movement—“It was a phenomenon,” she said—and to the fact that there was nothing connecting these new groups of volunteers to each other or to the city. 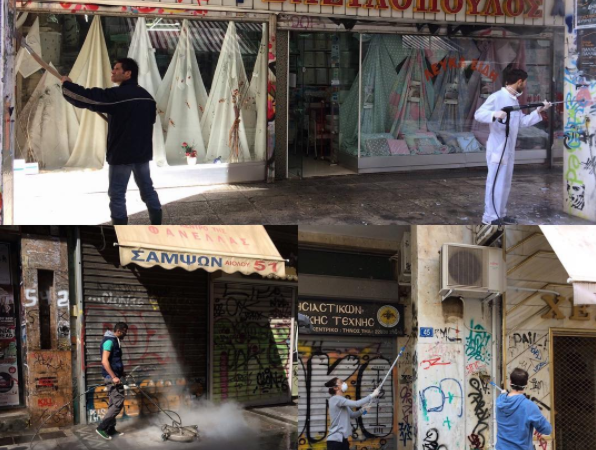 Local group helps to remove graffiti from areas in Central Athens.